Have you often found yourself searching for misplaced car keys or cell phone and risking to be late for an important meeting? And at this very moment, you desperately wished these items had lost-item trackers on them to signal where they were. On average, people spend about ten minutes a day to find lost or misplaced things, and the potential size of the market for the trackers is expected to reach $10B by 2017. 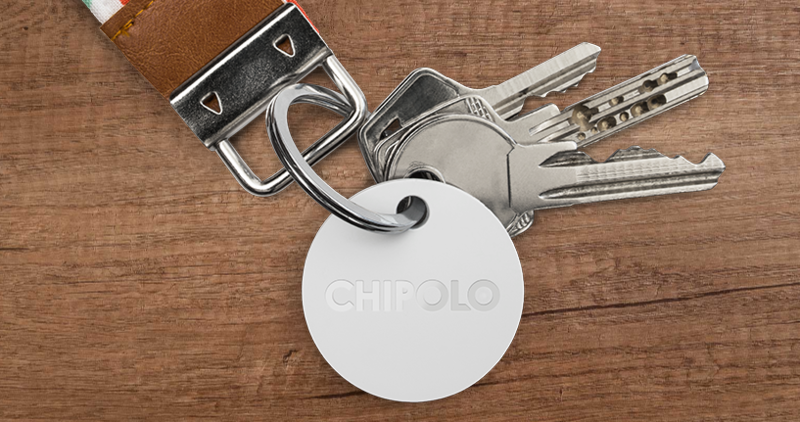 Slovenian startup Chipolo tapped into this market and released the second edition of their new Bluetooth item tracker – ‘Chipolo Plus’, which comes together with Android, iOS and desktop apps. This is a compact waterproof tag that is 15% louder than competitors, and it has the longest range on the market – 200 ft.
Chipolo Plus is powered with a non-replaceable battery that lasts for 12 months. When the battery life is about to expire, the user gets a notification and can get a new a device for $12, half the price, while Chipolo arranges the pickup of the old one. Basically, it works like a subscription. Chipolo was funded on Kickstarter in late 2013 and raised $300,000 with more than 5,000 backers. Until then they have sold more than 1M devices worldwide. According to Tadej Jevševar, co-founder of the startup, Chipolo finds more than 50,000 items per day for users in more than 150 countries. The startup was founded by Primoz Zelensek and Tadej Jevševar. The product is built by a team of 20 people in Slovenia. At 21, Tadej co-founded his first startup company – Nollie Apps – and introduced popular board game Activity Original for iOS platform that has been #1 downloaded game for iPad in 2012. In the first half of 2017 Chipolo will be raising a Series A round.